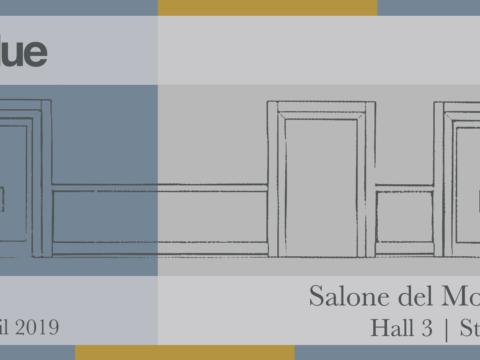 At the upcoming Salone del Mobile.Milano Moscow 2018, Elledue is presenting an updated Bedroom set belonging to our luxury-contemporary Ulysse collection, as well as pieces from the new Penelope collection. 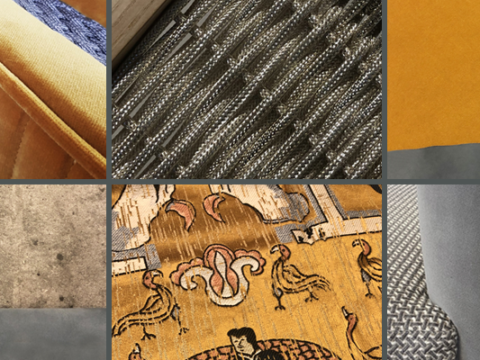 Each piece features sophisticated details and is designed to convey a sense of refined luxury. 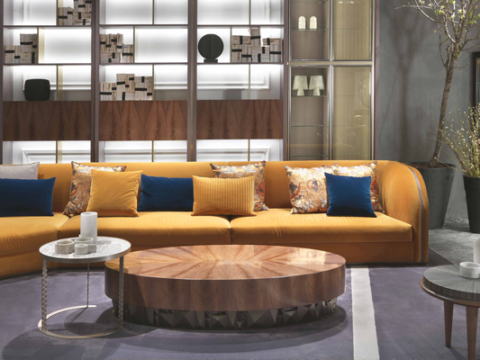 The colour palette, including warm beige tones and diverse blue hues, has been carefully selected to provide a feeling of comfort and relaxation. The masterpiece in this set is the Ulysse bed, upholstered in a smooth velvet, in a light hazelnut tone and decorated with a chevron matelassé pattern. The tall headboard wraps the sides of the bed and embrace the structure, which includes side wooden drawers – a functional alternative to classic night tables – in a magnolia lacquering, with black lacquered solid wood handles and natural brushed brass details. 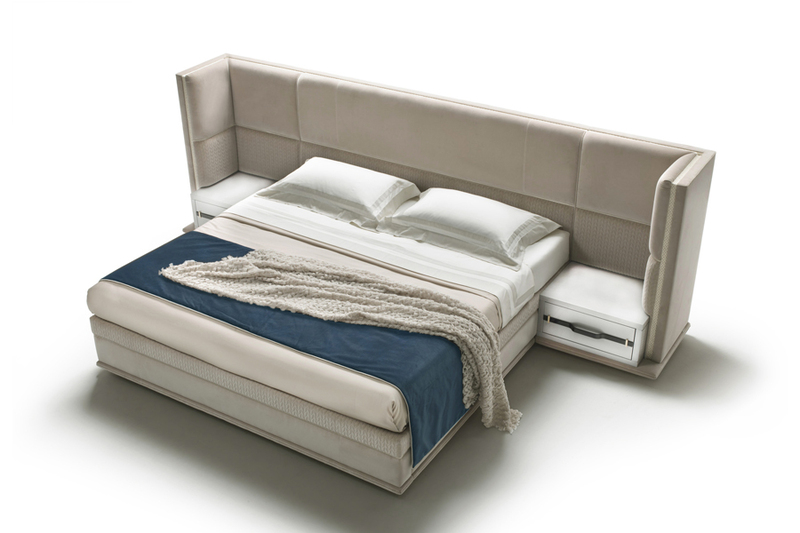 The headboard is enriched by the exclusive copper braid trimming in an elegant silver finish. Decorative pillows bring in blue hues, from Nordic pastel shades to deep sea blue and a soft geometric pattern, mixing beige, silver and light blue tones. A wool throw in a light powder colour, featuring a geometrical motif, complete the linen set.